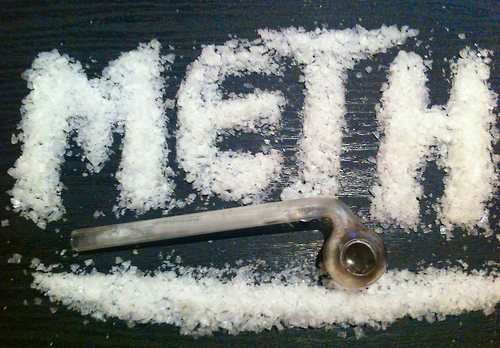 A Sacramento man convicted of selling methamphetamine in at a Calvine Road parking lot was sentenced yesterday in U.S. District Court in Sacramento. Hector Jonathan Hernandez, 26, of Sacramento, was sentenced today by U.S. District Judge Kimberly J. Mueller to eight years and one month in prison for distributing methamphetamine. According to evidence presented at his trial, in a series of phone calls in May 2016, Hernandez negotiated with a DEA confidential source about selling methamphetamine. On May 25, 2016, Hernandez met with the source at a Lowe’s parking lot on Calvine Road and sold him one pound of methamphetamine for $3,500. The substance was tested later at a laboratory, and it tested at 100 percent purity for methamphetamine. This case was the product of an investigation by the Drug Enforcement Administration.